Home » Love Yourself and Protect You! What is your most valuable asset? It is not your car. Or even your home, or any other personal possession. The most valuable thing you possess is you and your ability to continue to earn income. 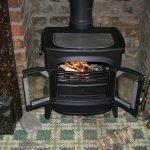 So why do we often take the time and pay the premium to insure our homes and our cars, but not that which is most valuable? Oftentimes, it is because homeowners insurance is required by the mortgage company, and automobile insurance is required by law. But since there is no corresponding requirement to purchase Disability Income insurance, it is overlooked. Life insurance has long been marketed not as insurance for yourself, but for those you’ve left behind. They depended on you—and your income—in order to be able to pay the bills. But if you’re disabled, you are no longer able to make an income, and those same people are still depending on you to be able to pay the bills. Luckily, products such as Disability Income insurance exist, and are able to pay you if you should ever be in the situation where you are no longer able to work. If the need for Disability Income should arise, you’re still alive—there won’t be a Life insurance payout to help make ends meet. In fact, the financial burden may be even greater than if you had died, because they will now have to take care of you, too. No one wants to imagine life after suddenly being disabled and not being able to work. And no one financially plans for it. But you might want to think about it, because between the ages of 25 and 65, you are about four times more likely to somehow be disabled than to die. Protect your family, loved ones, and current life style by purchasing a Disability Income policy. It’s the smart move, even if you’re in your twenties, and even if your employer is already providing some kind of disability insurance. It gives you income to take care of your mortgage or rent, the car payment, buy groceries, and more, even if you can’t work. An employer-based policy may make you feel protected, but it likely won’t transfer to a different employer, and the benefits may face taxation. Getting your own policy gets you access to tax-free benefits. So show yourself love and protect you! 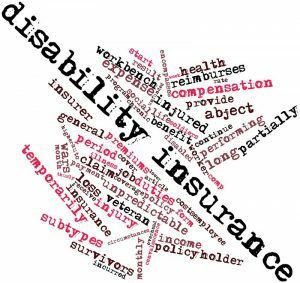 There are a variety of disability policies available. The cost varies, as well, but should be about 2-3% of your current income. Work with a professional agent to find out which policy is best for you and your situation. Here at American Advantage – IFS, we are always ready to answer any questions you may have about not only Disability Income insurance, but any type of insurance policy. Call us today at (262) 696-5800. Don’t just take your chances. All insurance is to protect you in the event of loss. You never planned to be in that car accident, but you sure were glad you had insurance covering you when it happened. You didn’t plan for that storm to damage your house, but it was nice to get that check from the insurance company when it happened. You will be glad that you looked into Disability Income insurance if something were ever to happen to your most valuable asset.